One of the perks of college was attending classes in jeans and a t-shirt. 8 o’clock classes were miserable, but at least judgement free when everyone in lecture hall rocked the bedhead and sneakers look. You can’t blame a college student when he has to choose between spending $200 on his Macroeconomics textbook or on a pair of dress shoes. The amount of stress students had towards long-term goals outside of getting their degree was reflected in the way they dressed: carefree. Life after college is a little different though. The textbooks have all been sold to the bookstore for a measly quarter on the dollar. The t-shirts and jeans start to fade from the wash and the wear. The stress of walking across the stage is now replaced with getting at least one callback for an interview. The feeling of needing to grow up becomes all too real. You probably don’t know who will be interviewing you so be as much of a surprise to them as they will be to you. Avoid wearing anything that can suggest signs of carelessness. Ladies: Slip on dressier flats instead of your daily walking flats. A compliment to start the interview will only boost your confidence. Gentlemen: Don’t wear the same belt you would wear with your jeans. 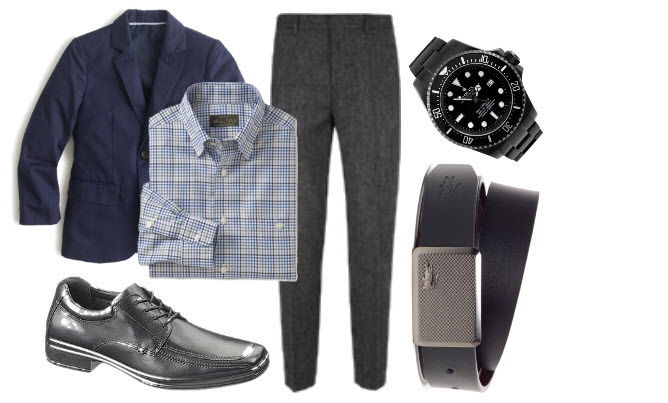 A simple solid buckle will go better with your dress pants anyway. Wrinkles and an untucked collar may not bother you but it can distract the hiring manager, who will have all eyes on you. If you find little time to iron or cuff up your sleeves, choose simple pieces that do not require much maintenance. Ladies: A print top makes wrinkles less visible and a solid black pencil skirt creates less distraction. Go ahead and get artsy for that interview. Gentlemen: A blazer over a polo and cardigan will create a comfy combo that will impress even more than the boring blazer and button-up. Freshening up is a daily routine that I highly encourage taking up a notch on the day of the interview. Being clean and looking spiff can be a killer combo to further entice the hiring team. Ladies: When you look good, you feel good; when you smell good, you feel even better. If your shampoo and conditioner are floral scented, sneak in cute floral accessories. Gentlemen: Wearing white is a great way to look fresh and clean. Pair the look with a light cologne. An interview can vary from 10 minutes to even an hour. Regardless of the time spent, you should go in with the mindset of being yourself and being comfortable. That should mean you need to also FEEL comfortable. Wear clothes that will free your mind of discomfort so you can stay focused on being you. Ladies: Avoid heels that make it hard to walk in; try chunkier heels so you can enjoy the tour around the office and really make an impression on everyone else. Gentlemen: Wearing a too-tight shirt and/or too-loose & too-long pants is both unappealing and uncomfortable. Picking at your shirt or tugging at your pants during an interview can suggest inattentiveness. 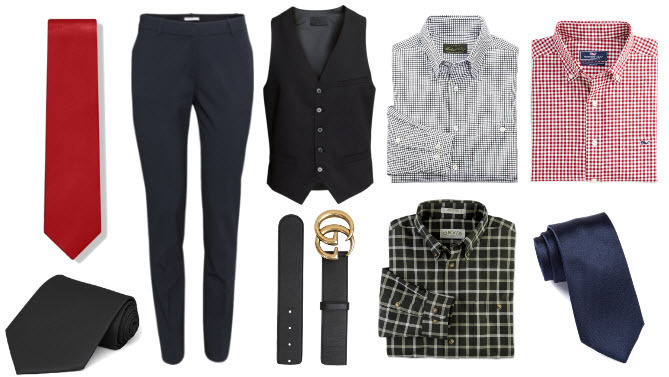 Try a sleeveless sweater vest under a slim button-up for extra movement and awesome style. There is nothing worse than looking in the closet, realizing you have nothing to wear for your interview, and losing precious time to prep for your interview. Having a few essential pieces for that big moment will make it easier to breathe and think. 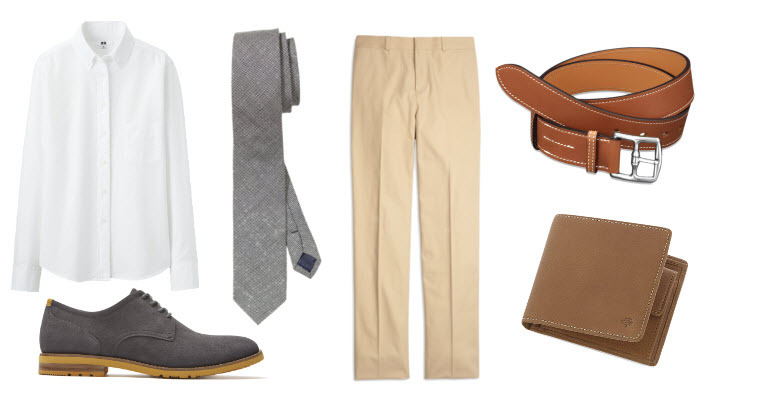 Plus, you’ll have more options to wear to look nice around the office when you land the job! Ladies: Don’t buy extravagant patterns. Buy a couple nice outerwear and focus more on having mix-matching blouses that you can swap out for multiple looks. Don’t forget accessories for a whole new feel. Gentlemen: For easy styling, remember that solids and patterns can go hand-in-hand in mere seconds. Either invest in multiple patterned ties and a couple solid button-ups or vice versa, with multiple patterned button-ups and a couple solid ties. This way you’re not digging through mismatched pattered shirts and patterned ties. If you are ready to try out these amazing tips, let’s start on landing you the interview. Begin your dream career at SoftwareONE today!